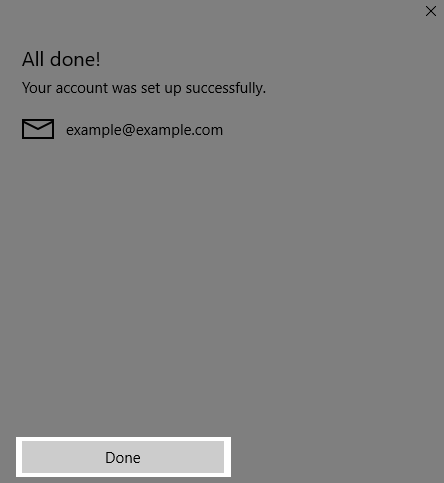 This guide will help you create a new email account in the Windows 10 Mail App using the proper server settings for Zimbra. Step 1. 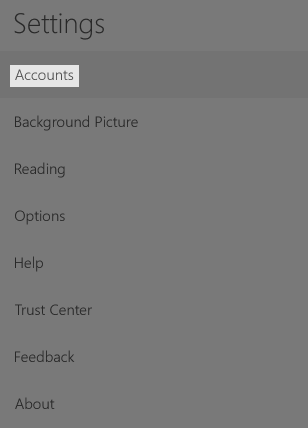 Type Mail into the search bar next to the start menu. Select the Mail icon that appears in the search results. 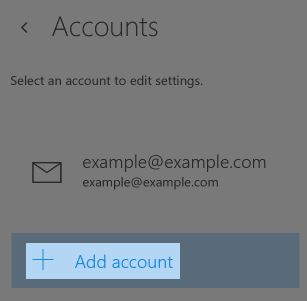 Note: There are two ways to add an email account using Windows 10. 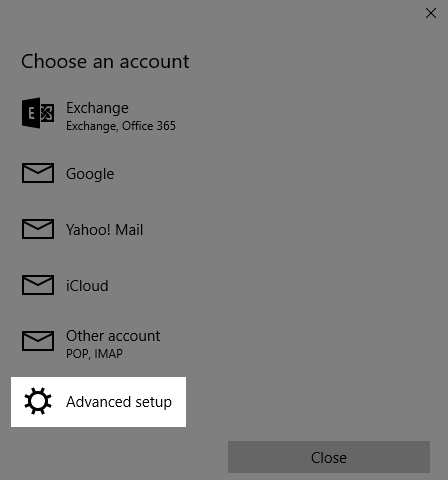 If mail has not been set up previously, you will see a Welcome window with a Get Started options. 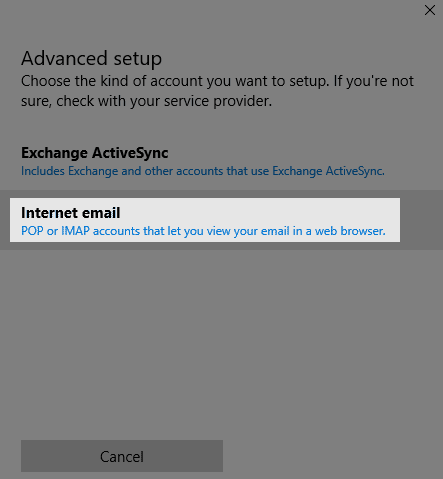 If mail has already been set up, you will have access to mail settings to create a new account. Step 2. 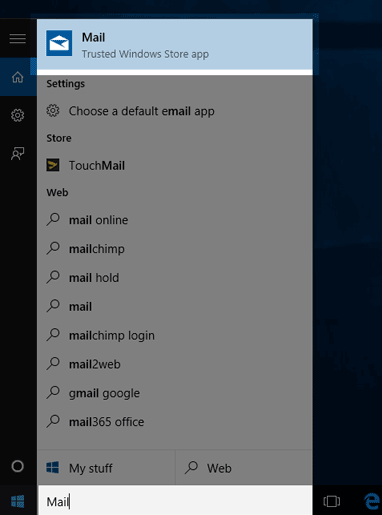 On the right side of the mail window, the settings pane will open. 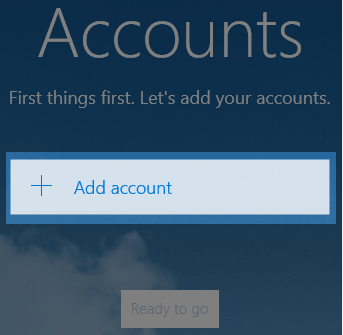 Select Accounts. 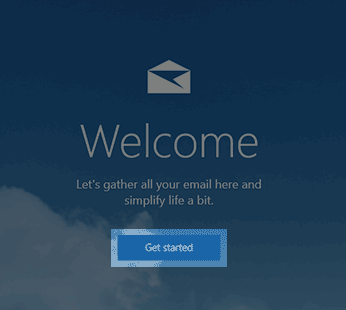 Congratulations, email for Windows 10 is now set up!